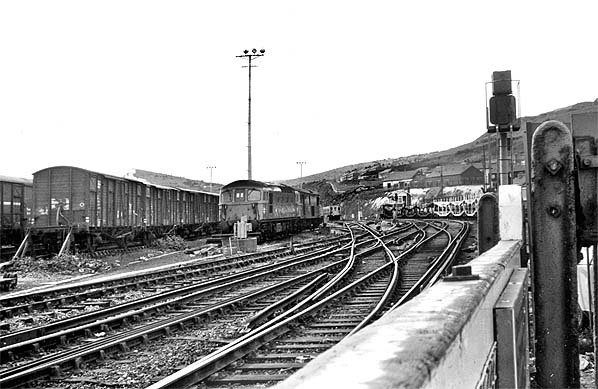 Looking west at the site of Dover Town station in September 1973. The Dover Town Yard now occupies much of the station area. On the right cartics are seen alongside the rebuilt Town platform.